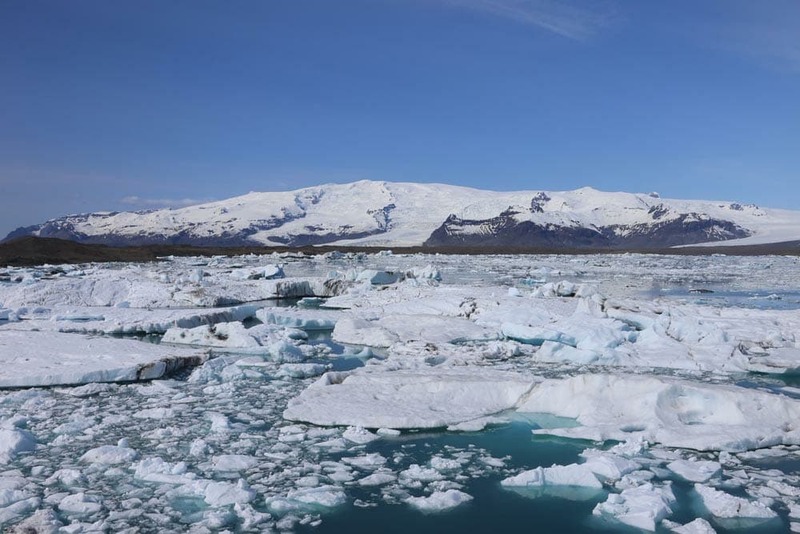 After the exploring west part of the island, the golden circle: let’s go now to the south coast of Iceland. Hike to the Svartifoss waterfall. A little bit optimistic isn’t it ? After 150 kilometers we finally arrived at Jökulsárlón lake, one most famous view of Iceland. 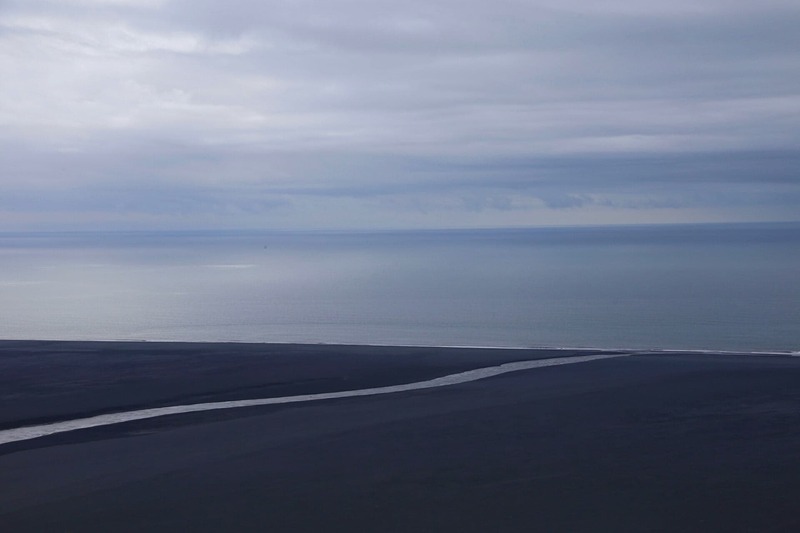 Located at the south of the Vatnajökull Glacier, it is approximately 18 km2 big. You will see on these photos what makes it so special : ice blocks floating on its surface. 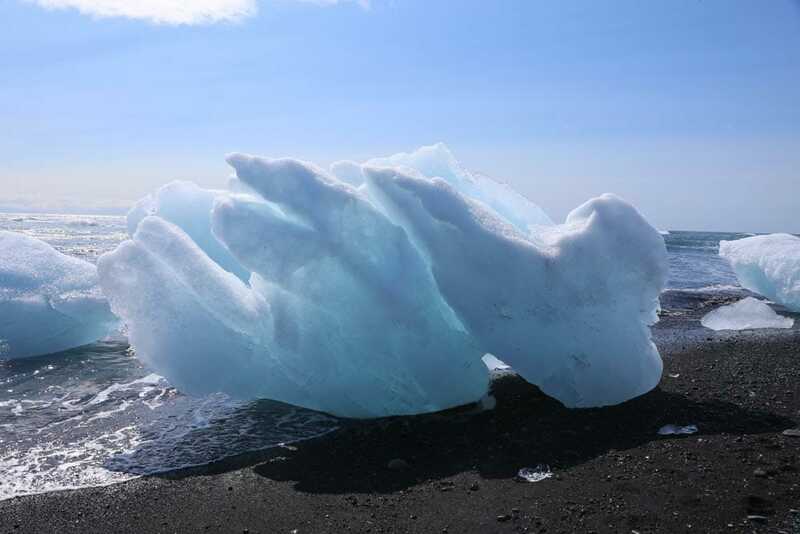 These mini-icebergs come straight from the glacier to run aground the black sand beach. 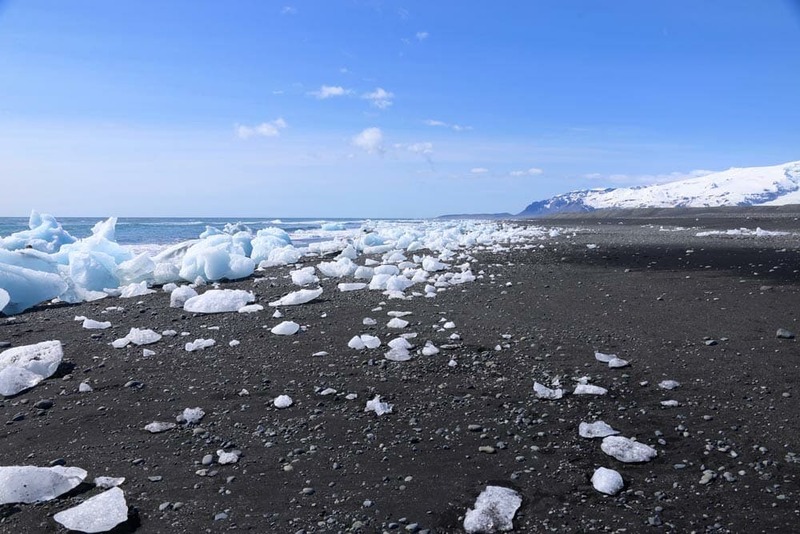 Watch the contrast between the blue of the water, the white of the ice and the sand, it’s just a treat for the lens! After a short walk around the lake, let’s go back to the car : climbing-irons and ice picks are waiting for us! 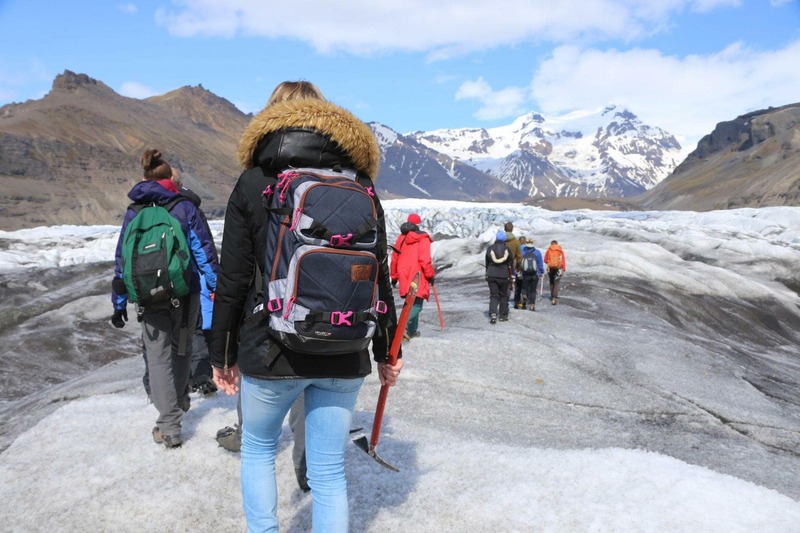 Unfortunately we didn’t had the time to go on the boat tour that goes on the lake, but here is the link of the company with which we will make our hike on the glacier, we strongly recommend them! 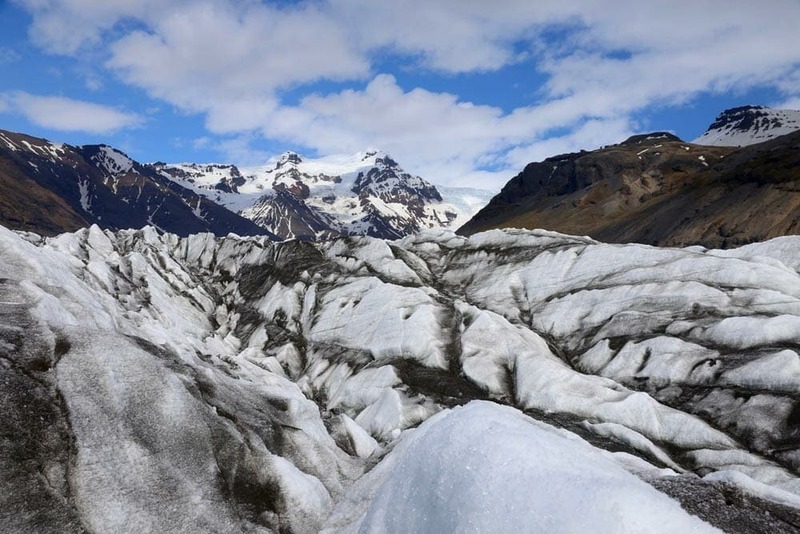 Let’s go for 3 hours hike on the Vatnajökull glacier. Climbing-irons on our feet, we leave in a mini bus to go closer to the glacier. First steps are a little bit stressful let’s admit, it slips and if you fall you better want to choose where! Rifts, ice cellars, the guide explains everything we need to know about the glacier. After few minutes, the walk becomes easier and we can starts enjoying the show. 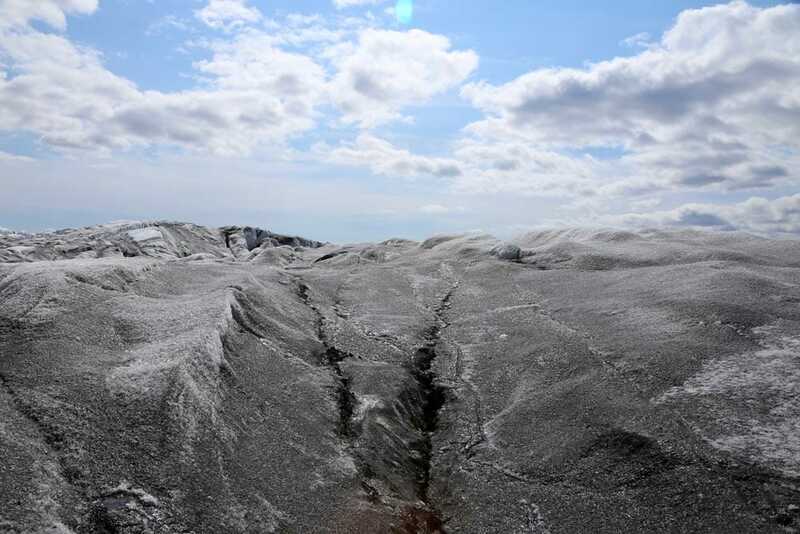 If, like us, you are wondering why the glacier is black, this is due to an eruption many years ago, when the ashes of the volcano fell and then froze. Icelandic Montain Guides. 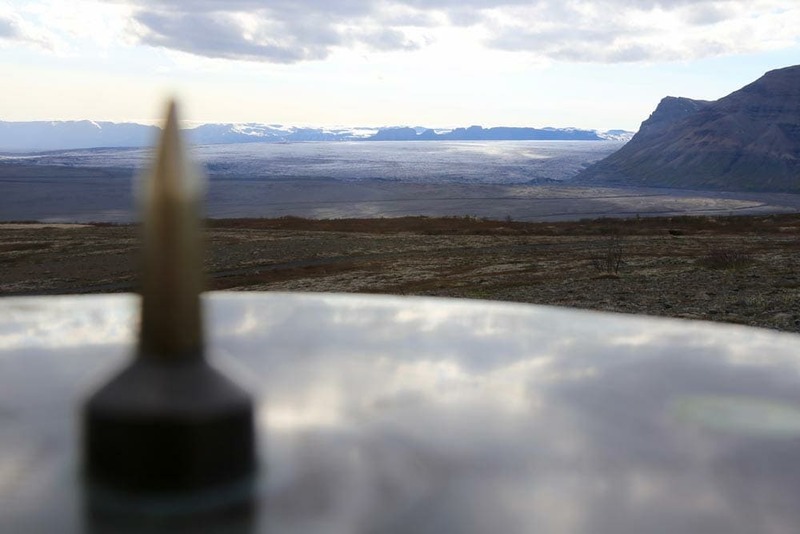 The company’s lodge is located in Skaftafell National Park next to the information center. And as if the hike on the glacier wasn’t enough. We went to discover the park. 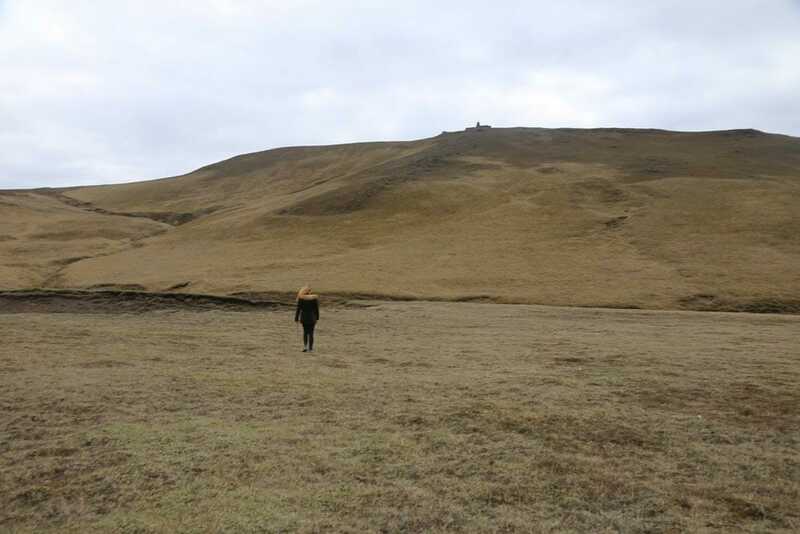 Hikers, this park is your paradise, with 1700 km2, this is the largest national park in Iceland after Thingvellir. You can go there for hikes from 1 to 12 hours. You can find maps at the park’s entrance. We chose the Svartifoss hike that leads to the waterfall and lasts 1 hour 30. It’s classified as easy hike… but after 3 hours hike on a glacier it makes it a little bit less easy. The ride is beautiful, the view emerges, more and more until the arrival to the waterfall. Small, 12 meters, but surprising! 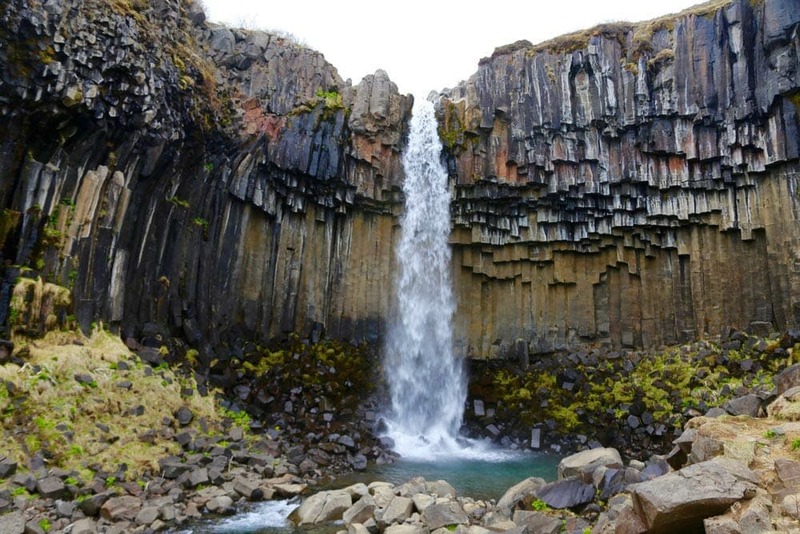 It reminds us of the basalt columns of Basalt Cliffs Gerðuberg. These forms are also due to the slow cooling of a lava flow. Back to the car, almost … after seeing another sign we decided to make a last detour. 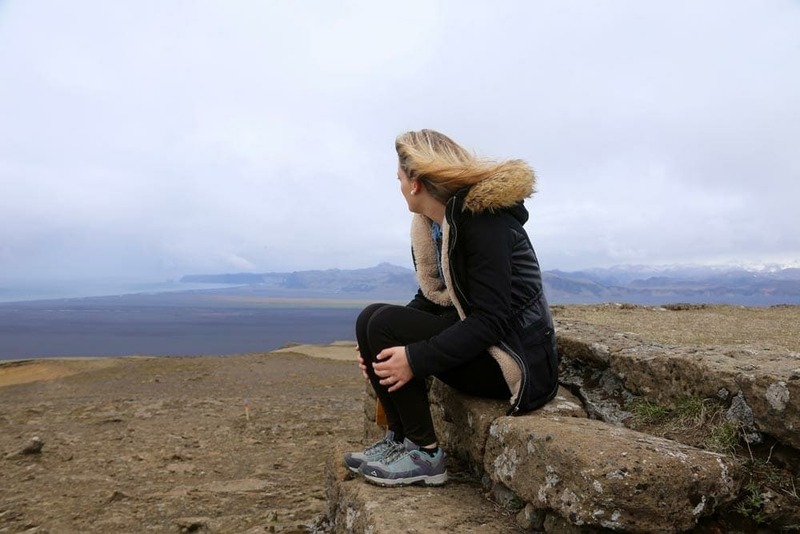 Iceland has taught us that you are never disappointed of going further. This is probably the day where my travel companion hated me the most (I assure you it did not last long but still!) 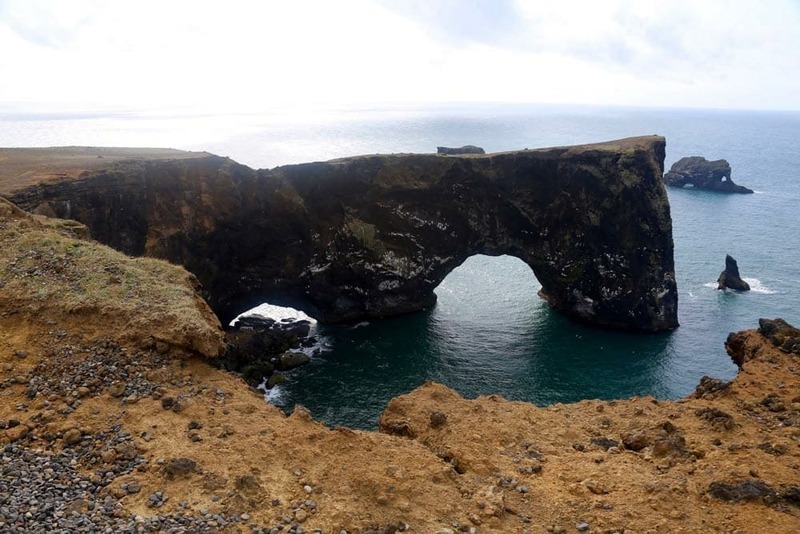 Driving to Vík to discover it’s black sand beach we saw a huge rock , impossible not to stop, right? This is actually the result of an underwater eruption that occurred during the ice age. The rock would have overhung the ocean before Katla volcano lava was moving further and further away from the water. Today, more than two kilometers separate this giant from the sea. Thinking we were just about to quickly climb to the top and enjoy the view we were actually gone for a short 3 hours hike. 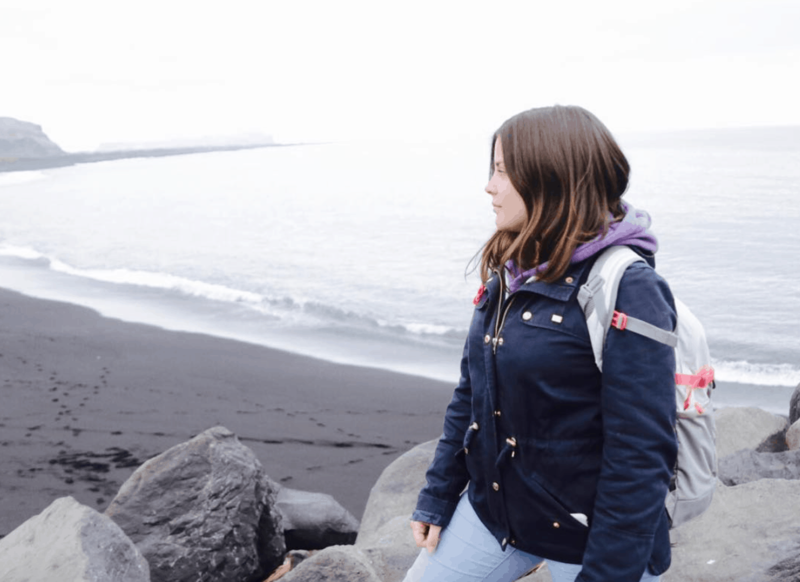 Once we arrived at the top, the view on the black sand beach is endless. 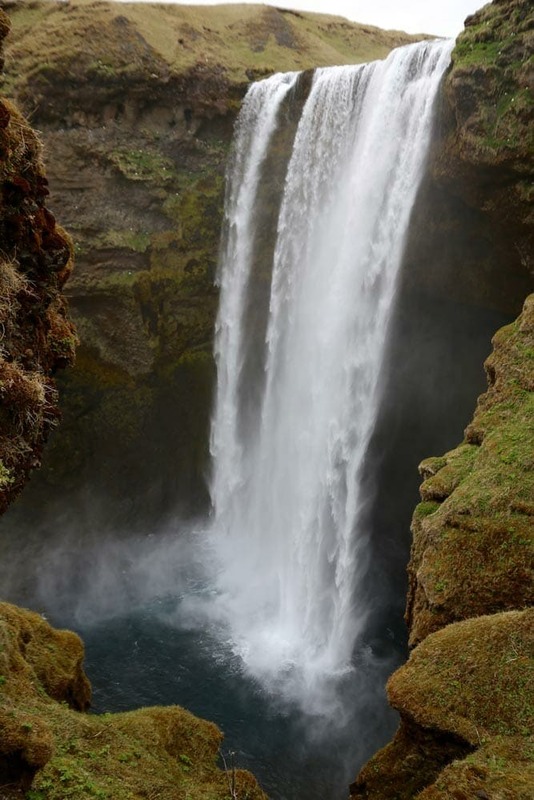 In Iceland we love waterfalls, here is another one of 62 meters high and 25 meters wide. Stairs will help you climb up, continue to strengthen your thighs! It is said that a safe would be hide behind the waterfall, left here by the Viking Þrasi Þórólfsson. If you find it, it can be more profitable than playing to the lottery! 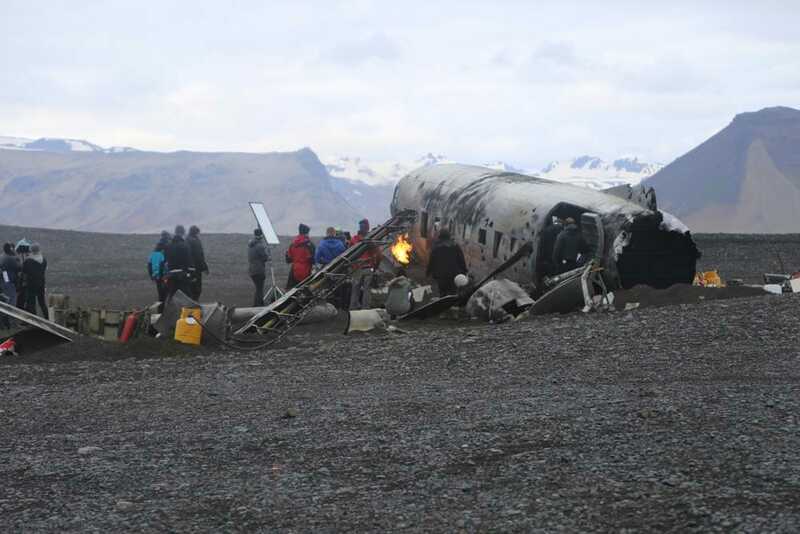 On November 24, 1973, a plane crashed on the beach of Sólheimasandur and today its debris are still there. The place has become popular for the photographers. 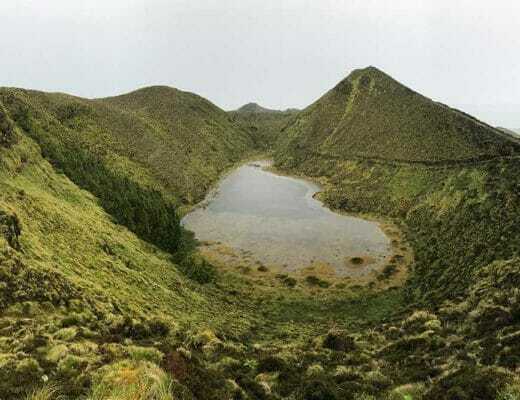 Note that it’s not accessible by car, from the road you have to walk 4 kilometers to get there. (Do not forget the return, another 4 kilometers) When we arrived, plane was occupied by a movie crew. We couldn’t see the inside of the plane but we kind of saw the crash live (…almost). Dyrhólaey means “door-hole”. To be able to the observer it, you will have to go at the top of a cliff. Cars are allowed but beware, if you do not have a 4×4 it can get scary! 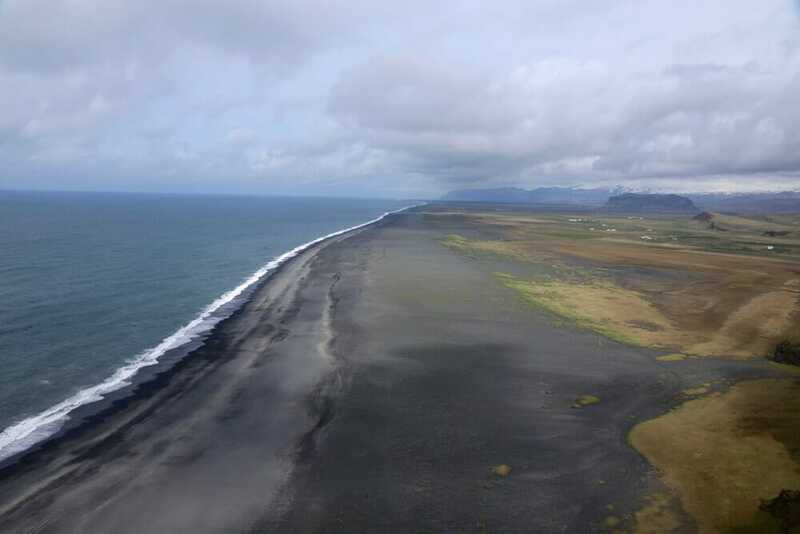 At the top you will once again observe the black sand beach as far as the eye can see. 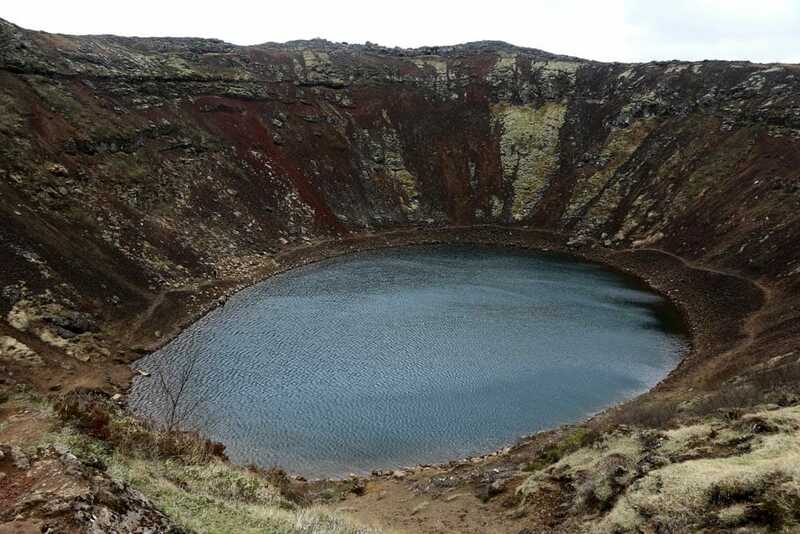 Kerið is a volcanic crater occupied by a lake. This site is part of the golden circle. On paper, the color of the lake seems magical, no luck for us the weather wasn’t good. Walk is fast : one hour on the site is enough. It has become THE place to all the bucketlists! 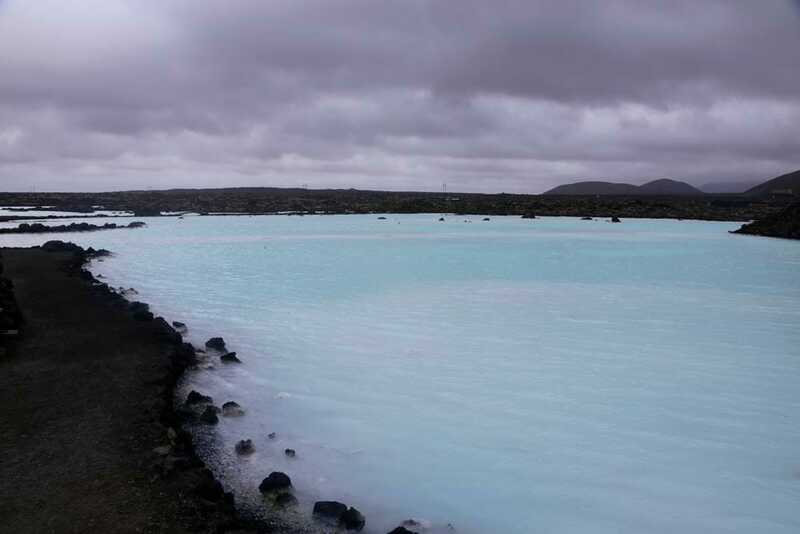 Imagine … swimming outdoors in a sky-blue water at 40 degrees, all in a lunar landscape. We validate! 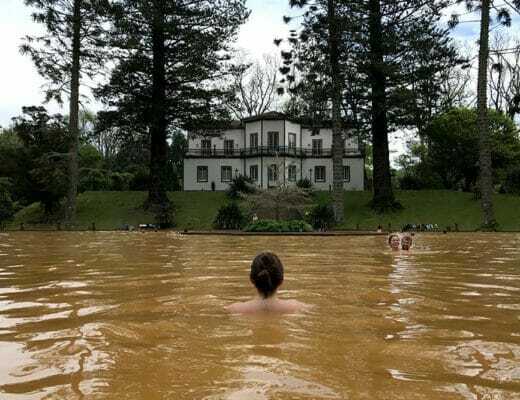 Of course the place is SUPER tourist, we entered a real luxury spa which drastically changed from our Icelandic experience so far, but still, you cannot go to Iceland without going through it! 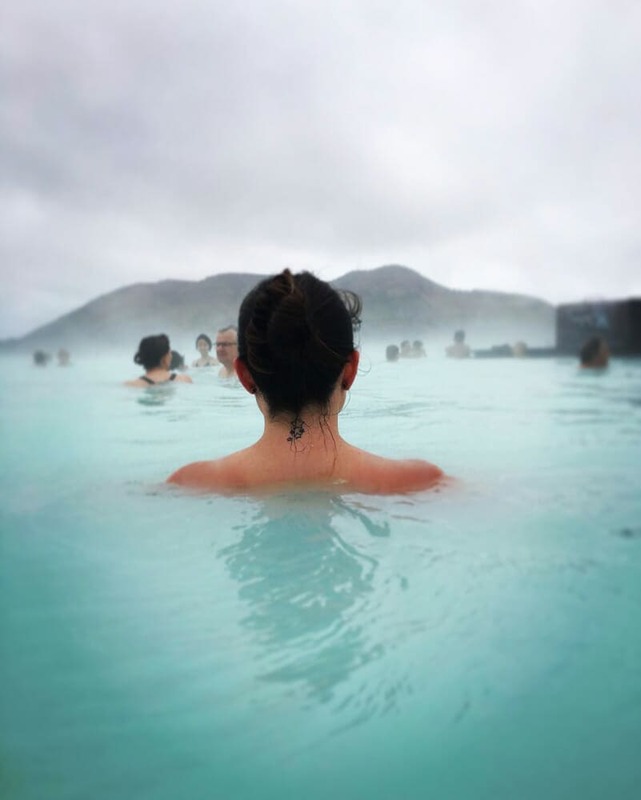 There are hourly bus transfers to and from Blue Lagoon, Reykjavík, and Keflavík International Airport. You can book bus transfers with any entrance tickets. All transfers booked through this website are operated by Reykjavik Excursions. 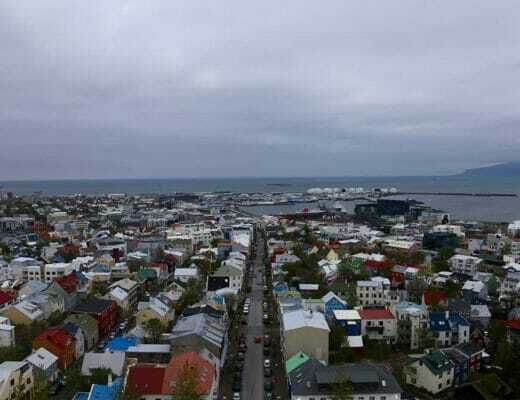 Let’s go back now to Reykjavik, tomorrow is our last day on the island … already!